It is both amazing and wonderful that so much of the richness of our language and our moral education still owes a huge debt to a Greek slave who was executed more than two thousand years ago. 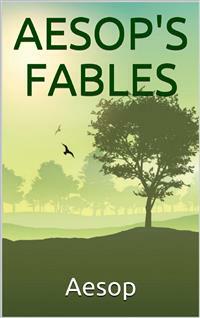 Yet "sour grapes," "crying 'wolf,'" "actions speak louder than words," "honesty is the best policy," and literally hundreds of other metaphors, axioms, and ideas that are now woven into the very fabric of Western culture all came from Aesop's Fables. An extraordinary storyteller who used cunning foxes, surly dogs, clever mice, fearsome lions, and foolish humans to describe the reality of a harsh world, Aesop created narratives that are appealing, funny, politically astute, and profoundly true. And Aesop's truth—often summed up in the pithy "moral of the story"—retains an awesome power to affect us, reaching us through both our intellects and our hearts.